Cannabis (marijuana) is a substance that can be dangerous, even if it’s legal. It hurts your ability to drive any motor vehicle: this includes a car/truck, ATV, dirtbike, snowmobile, boat or jet-ski. It can hurt brain growth in people under age 30. It sometimes increases the risk of mental disorders. It can cause lung problems and diseases. People who use it can become dependent on it. Do not smoke in places with children, youth or vulnerable people (like people with chronic illnesses). Cannabis, also known as marijuana, is a plant that contains two chemicals: THC, or delta-9-tetrahydrocannabinol, and CBD, or cannabidiol. THC causes the “high” feeling, and intoxication (when your body has too much). The amount and strength of the product can change, based on the type of cannabis plant it’s made from, and the way it’s made. What are other names for cannabis? Cannabis has many names: marijuana, marihuana, weed, grass, smoke, pot, dope, green, grass, hash, ganja, cush, skunk, spliff, doobie, shatter, trees, blunt, bud... Most of the names for cannabis have something to do with its effects on the brain and body, or the way it looks. People use cannabis for social reasons, as part of their religion, for medicine, or just for the effects it has on the body and mind. Smoking: Joints, spliffs (cannabis rolled in cigarette papers, sometimes with tobacco), pipes, bongs, or blunts (cannabis rolled with cigar paper). Drinking or eating: teas, sodas, cannabis oil, or in food. Vaping: inhaling dried or liquid cannabis vapour through a vaping device or a vaporizer. Dabbing: breathing in vapour from heating concentrated cannabis. 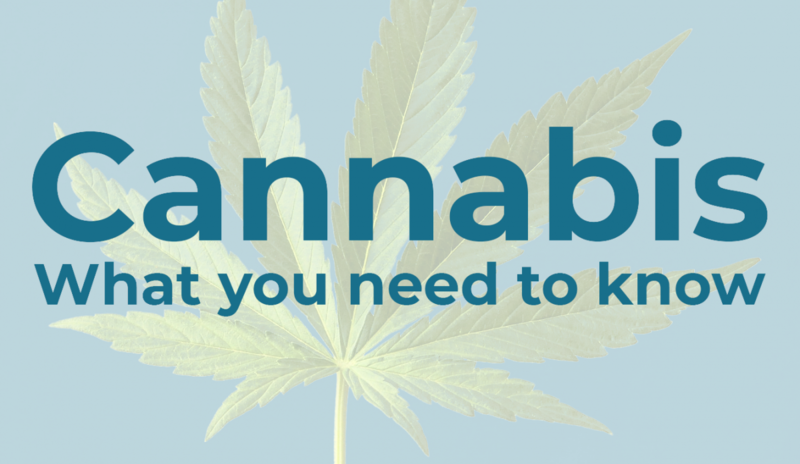 What are the different kinds of cannabis products? Cannabis is prepared in different ways to make different cannabis products. The main parts used in preparing cannabis products are the flowers and leaves of the cannabis plant. The THC strength (potency) of cannabis products depends on how they are prepared. cannabis product what is it? What does cannabis do to the brain and body? The body naturally makes chemicals almost like THC. Those chemicals are called “endocannabinoids”. They help the brain and the body talk to each other. They also help the work of many organs. The system inside the body that handles those chemicals (the “endocannabinoid system”) has many different jobs. It helps the brain in simple and complicated ways: with learning, memory, decisions, emotions, and body control. When there’s cannabis or THC in the body, it can hurt the body’s endocannabinoid system by overwhelming it. When cannabis is used for a long time, the body doesn’t make its own endocannabinoid chemicals as well. This slows down a person’s reaction time and hurts memory. It can change the way a person makes decisions, feels and acts even when they’re not using cannabis. Youth and Cannabis: What's the big deal? Cannabis is a drug that affects how the brain and body works. Whether it’s legal or illegal, it can still hurt the growth of a young person’s brain and body. It affects the body, feelings, thoughts and actions. Cannabis can hurt a person’s ability to drive and do physical activities like sports. Cannabis also makes it harder to focus and remember for school and work. Young people using cannabis have higher chances of becoming dependent on it, and getting addicted to other drugs later in life. All smoke hurts the lungs, including cannabis smoke. This means people who smoke cannabis are more likely to get lung diseases. Cannabis mixed with other substances, like alcohol or other drugs, makes it more likely for someone to overdose. This can be deadly. The brain isn’t finished growing until about age 25. Teenaged years are the most important years, because that’s when the part of the brain that handles emotions, memory, thinking skills and relationships grows too. Using cannabis as a teenager can hurt a person’s school, work and social life, because the chemicals in cannabis can slow down those parts of the brain forever. Taking cannabis hurts your ability to drive any motor vehicle: not just cars, but ATVs, dirtbikes, snowmobiles, boats and jet-skis too. It makes your reaction time slower, and makes you more likely to get in an accident. More people in Canada are killed every year in car accidents because of drugs (40%) than because of alcohol (33%). It’s hard to tell how potent cannabis will be, and it has different effects on different people. No matter what, driving after taking drugs is still illegal, even if you think your judgment and reflexes aren’t affected. Don’t take the chance – don’t drive while you’re high. It’s not safe to use cannabis during pregnancy. All smoking hurts unborn babies. They get less oxygen and nutrients when exposed to smoke. The effects of using cannabis are still being studied, but there is more and more proof that cannabis hurts babies. It slows down their learning, and hurts their memory and mental health. It also affects the way they think and act later in life. The safest way to protect your baby is to not use any drugs or alcohol during pregnancy. If you’re not sure what’s safe to take while pregnant, ask your local doctor or nurse. If you need help to control substance use habits while pregnant, local doctors, nurses or NNDAP workers are there to help you. It is recommended that nursing mothers do not use cannabis during breastfeeding. However, the benefits of breastfeeding are greater and mothers should breastfeed when possible. Recommendations: if you chose to breastfeed and use cannabis, use less and do not smoke in the same room as the baby or children.